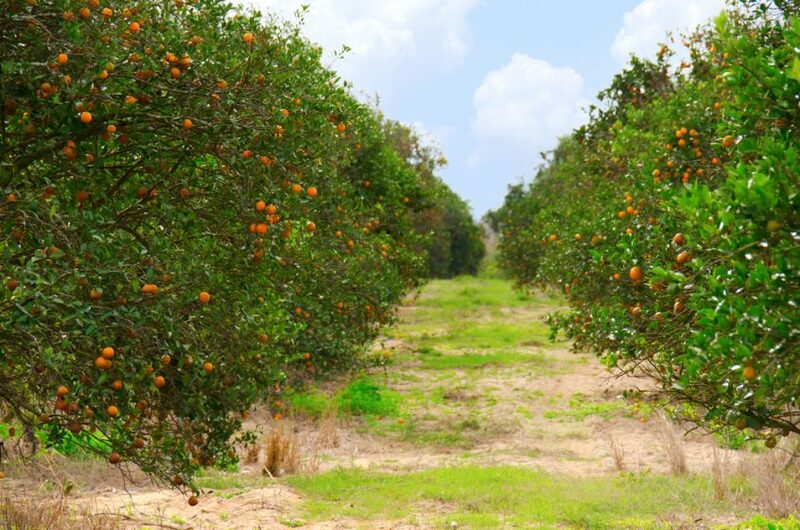 The 2018–2019 Florida all-orange forecast released by the U.S. Department of Agriculture (USDA) on April 9 is 76.5 million boxes, down 1 percent from the March forecast of 77 million boxes. This includes 30.5 million boxes of non-Valencia oranges (early, midseason and Navel varieties) and 46 million boxes of Valencia oranges. Non-Valencia production is down 500,000 boxes from the March forecast. The row count survey conducted March 27–28 showed 98 percent of the early and midseason rows are harvested. The Valencia forecast is unchanged at 46 million boxes. Final fruit size is below the minimum, requiring 265 pieces to fill a 90-pound box. Final droppage is above average. The row count survey showed 27 percent of the Valencia rows are harvested. The current forecast for Florida grapefruit production is 4.9 million boxes, down 9 percent from last month’s figure. The white grapefruit forecast is unchanged at 800,000 boxes. The red grapefruit forecast decreased to 4.1 million boxes. The row count survey indicated 94 percent of the red grapefruit rows and 93 percent of the white grapefruit rows are harvested. The forecast for Florida tangerine and tangelo production is unchanged at 950,000 boxes. If realized, this production level will be 27 percent more than last season’s hurricane-affected production of 750,000 boxes. In the last month, all-orange production dipped 500,000 boxes in California to 49 million boxes. In Texas, the all-orange figure fell from 2.6 million boxes in March to 1.875 million boxes in April. The grapefruit forecast held steady for April in both California (4 million boxes) and Texas (6.3 million boxes). California’s tangerine and tangelo forecast fell from 23 million boxes last month to 22 million boxes this month. View the April 2019 USDA Citrus Maturity Test Results and Fruit Size form. Mark your calendar! The next USDA citrus crop forecast for the 2018–19 season will be on Friday, May 10, 2019, at approximately 12:00 p.m. eastern daylight savings time/9:00 a.m. pacific time. You will be able to tune in to hear the numbers as they are given by Mark Hudson from USDA.